Fire Commissioner Joseph E. Finn, lamenting the “awful disrepair” of Boston’s firehouses, is planning to spend more than $26 million to replace two deteriorating fire stations and renovate another pair, part of a broader effort to modernize the department. Finn’s five-year capital plan, outlined in Mayor Martin J. Walsh’s proposed $2.86 billion budget, would be a boon for one of the nation’s oldest fire departments, which has not built a firehouse in more than three decades. The commissioner described many of the city’s 33 firehouses as in “tough shape,’’ reflecting a lack of investment in infrastructure and construction. Earlier renovations were piecemeal, he said. The Fire Department budget includes $13 million to build a new Engine 17 fire station on Dorchester’s Meetinghouse Hill and $10 million to build a new home for Engine 42 in Egleston Square, near the Roxbury-Jamaica Plain border. Construction is expected to start in 18 months, Finn said. The department has also allocated $3.5 million to renovate the Engine 50 firehouse in Charlestown, according to the proposed fiscal plan. 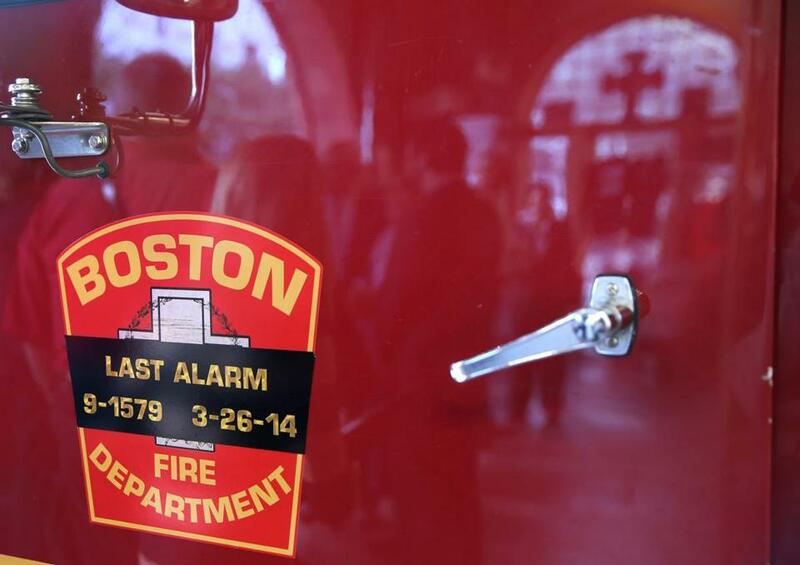 In addition, the commissioner said he wants to overhaul the Engine 33 fire station on Boylston Street, where Lieutenant Edward J. Walsh Jr., and firefighter Michael R. Kennedy worked before their deaths in a Back Bay fire last year. It is unclear what that renovation would cost. The plan has been submitted to the City Council for approval. Boston firefighters turned out in droves to support Walsh’s mayoral campaign, and Firefighters Local 718 easily worked out a contract with the mayor. And Walsh tapped the union’s champion for commissioner. Fire officials said the last time the city had two new fire facilities was in the late 1980s, but those facilities — a firehouse on Purchase Street and a marine unit on Burroughs Wharf — were built by separate private developers as part of larger construction projects. Over the previous two decades, firehouses for Engine 51 in Oak Square and Engine 5 in East Boston were renovated, officials said. The department also built a burn training facility at the Fire Academy, according to Steve MacDonald, the department spokesman. But most of the department’s repairs were done on a case-by-case basis. “We are trying to do a more comprehensive capital plan where we know where we are with our firehouses and that we are maintaining them and they are inhabitable,’’ the commissioner said. Finn said his department completed an assessment of the firehouses recently and determined — based on the age of the firehouses and impact on fire response times — which facilities to target first. Finn said other firehouses are actually in slightly worse shape than those being targeted now, but it is not financially feasible to replace them this year. The commissioner said officials are considering building the Meetinghouse Hill facility on an adjacent parking lot. The old station would remain in service and would be razed when the new facility is completed, Finn said. In Egleston Square, Finn said, officials would open a temporary module on the parcel where the station is located while construction takes place. The Fire Department’s budget is expected to increase by 4.5 percent under Walsh’s fiscal plan. The increase includes a collective bargaining wage increase for firefighters. The budget also accounts for a new firefighter recruit class to start this summer. The recruits are intended to replace retirees and ensure staffing levels, the budget plan said. Walsh’s proposed budget includes capital investments for the city’s public safety agencies. The Boston Police Department is planning a new station in East Boston’s Eagle Hill. Lieutenant Michael McCarthy, the department’s spokesman, said $2 million has been budgeted for the design and construction of new station. The department is also planning to upgrade its radio infrastructure to bring the system up to modern standards. The Office of Emergency Management’s operating budget will increase by 51.7 percent to cover rent on the city’s emergency operations center, a Bragdon Street command post for the city’s disaster response. An expiring grant had covered those lease payments. Rene Fielding, the city’s emergency response chief, said officials are seeking a new site for the center. Meghan E. Irons can be reached at meghan.irons @globe.com. Follow her on Twitter @meghanirons.